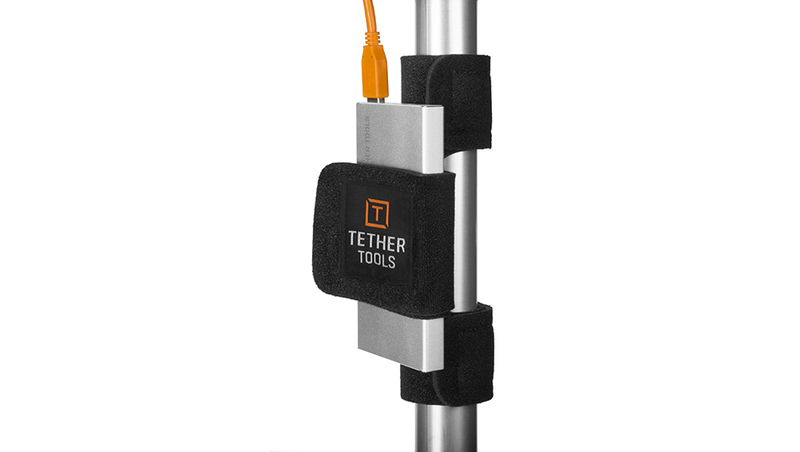 The Tether Tools StrapMoore Extender enables items to be secured to any camera strap or belt without the risk of items falling or sliding. The Tether Tools StrapMoore Extender enables items to be secured to any camera strap or belt without the risk of items falling or sliding. You can also secure larger items to a tripod, lightstand or boom when used in conjunction with the StrapMoore (sold separately). Like the StrapMoore itself, the Extender’s interior GripperElastic® strap allows you to secure just about anything you need near your camera or computer. The StrapMoore + Extender can secure a laptop power brick, charger, phone, off-camera flash, external hard drive, mic receiver, radio trigger, battery, or anything else that’s handy to have nearby during a photo shoot. The Extender is adjustable and can accommodate items up to 5 1/2” (14cm) in diameter. Heavy duty GripperElastic® lines the interior ensuring gear is well secured and won’t slide. Now you can put larger items where you want them, when you need them, during photo shoots. *Listing is for the StrapMoore Extender only; all other items shown sold separately.